Happy New Year to you and your family, Mica! Thank you for 4 fabulous years of fashion. I love today's looks. Happy new year to you and yours SSG :) Thank you. You look fabulous, all slammed up for Christmas. 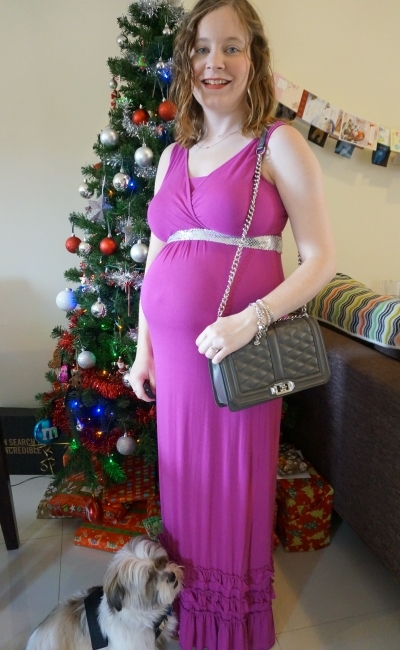 I choose a wrap dress to fir my bump, but still be a little put together. And four years of blogging? Wow, that is quite some time! Congrats, and to many more years to come. 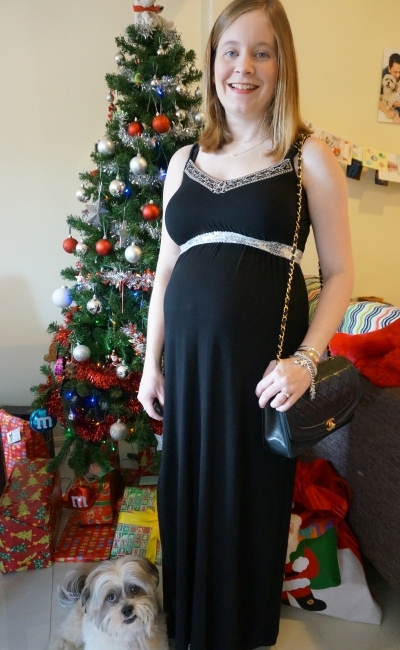 Wrap dresses are great in pregnancy! I just bought another one in the post-Christmas sales, ha! Cheers to 2016 being even better and brighter for you Mica! Hope you have a lovely 2016. Beautiful jewellery. I love your pink outfit. Wish you a great 2016! Congrats on four years of blogging! Here's to many more! Loving the jazzy scarf as a belt, great idea. You can never have too much sparkle at Christmas!! Cheers to 4 years of blogging! You look so gorgeous and cute in that collection! Happy new year. What a beautiful post, love your writing and happy birthday to your blog. Both dresses look lovely on you and the belt is the perfect touch- got to have some sparkle for this time of year. Congratulations on four years of blogging! Love that lavender color on u! Happy 2016! Congrats on four years of blogging! What an awesome accomplishment. You are definitely an inspiration. I always appreciate your writing and attitude. Today is no exception. Great looks! It is! I'm surprised I've stuck with it so long, haha! Happy New Year!! Congrats on the 4 years of blogging, hopefully the 5th will be the most best yet!! 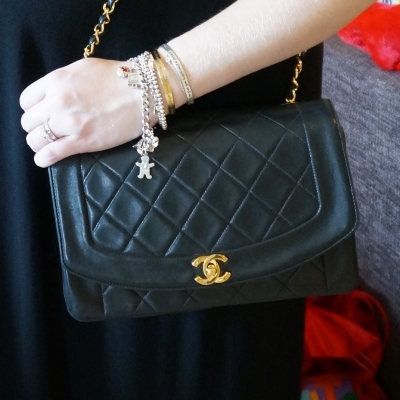 Love the RM and Chanel bags! Percetion! I do love a good maxi dress! There's always been the debate that I'm supposedly (at 5'1) too short for one but I never let that stop me as they are just so wearable! You look absolutely stunning, such a gorgeous, vivid pink! Hope you have the best year with your family! I'm a shortie too (5'2) and I agree, maxi lengths are so wearable! Even if they do have to be hemmed first, ha! 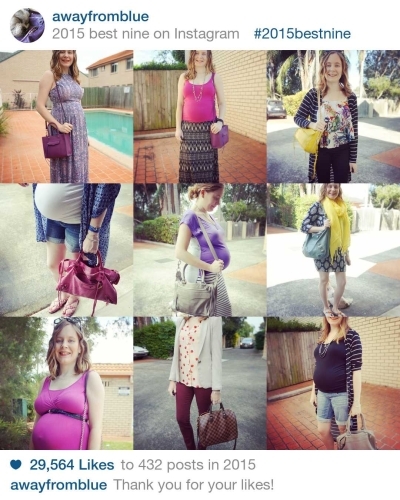 4 years of blogging? WOW! Wow, 4 years - congratulations! Here's to another year! Beautiful maxi dresses especially the black one you wore on Christmas day. Happy 2016, Mica! And Congratulations to your blog anniversary, dear! Both dresses look magnificent on you, Mica! I really thought the sequin scarf is a part of the dress. Wonderful styling! Love, love this chic black maxi dress on you, wow! Happy New Year and Merry Christmas to you, Mica! You always look gorgeous in all of your pics! I love the sparkly scarf-as-belt - so sneakily fab! your belly every time is bigger and bigger. You look adorable! Love the 2nd dress - simple but classy. Glad you had a fun time during the holidays. Have a great 2016! Such gorgeous outfits and maxi dresses. Your puppy is too cute! Happy Blogiversary Mica! Four years is awesome! We started at the same time. I'm so happy to call you my friend. You're the sweetest person and I've witnessed your growth throughout the years. Now you're a mom! So beautiful to see. You looked great for the holidays. Both maxis are very becoming to you. Happy 4 years!! I'm so glad to have found your blog this year--I love seeing your fun style and seeing how you strategically shop your closet! I love both of these looks and how you styled that sequin scarf as a belt. So fun! I really thought the sequin scarf was a part of the dress! Love the shade of pink on you. Both dresses are stunning. Congratulations for reaching 4 years of blogging! HNY Mica ! I am only beginning to catch up - I like that black maxi dress and how you styled it (you can never go wrong with a Chanel bag) . Hugs.